Ryan's Smashing Life: Support Girls Rock! 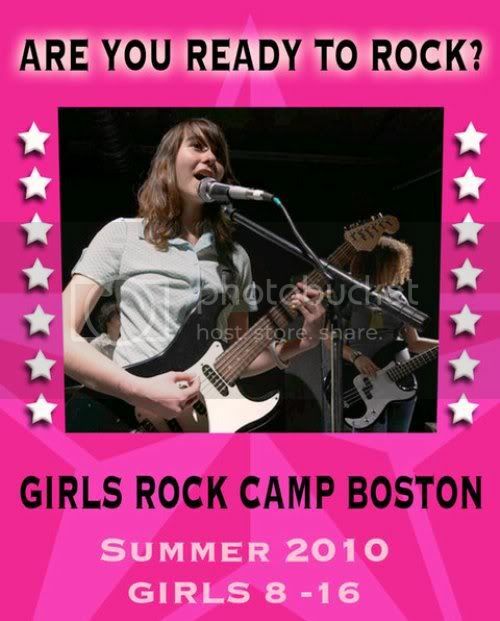 Girls Rock Camp Boston starts up next month. Girls Rock is a non-profit organization structured around the goal of girls, ages 8-16, coming together to form bands, learn musical instruments, write music and lyrics, and perform at a live, public showcase at the end of the week. The camp week will include instrument instruction, band practice, and various workshops all geared to enrich the lives of those who participate and the community. Mary Lou Lord - "Western Union Desperate"
Sunday 7/25/10 - All Ages! 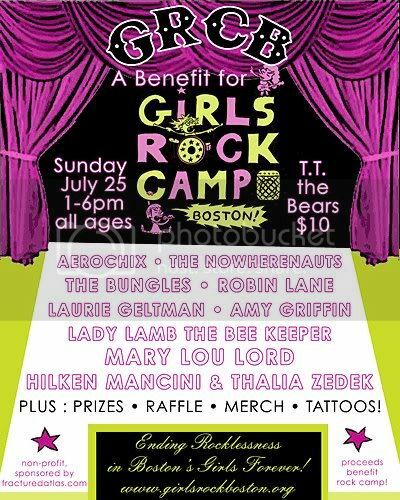 Founded by Boston musicians Mary Lou Lord and Hilken Mancini, Girls Rock Camp Boston is a fiscally sponsored non profit organization designed to teach girls self esteem through music, creation and performance. 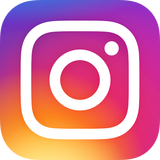 Targeting girls between the age of 8-16, the Girls Rock Camp has achieved much success nationally in cities such as Portland, OR and Los Angeles, CA. Standing apart from other music instruction programs, Rock Camp for Girls is a Non Profit program that includes a one week day camp from August 2nd through 7th, 2010. Campers will gain instruction in guitar, bass, drums, vocals and keyboards, develop band formations, write an original song and perform it at the legendary female owned and operated TT the Bears Place in Cambridge on August 7th, 2010. You can totally sing "Follow You Down" by the Gin Blossoms to this music. Seriously, try it.